Breastfeeding or baby formula?! Welcome to the world of mom’s guilt, the type of situation where no matter what you decide, there will be someone that will frown upon your decision… While breastfeeding is one of the healthiest and easiest ways to feed a baby, some people can feel uncomfortable around breastfeeding women, and a bottle of formula, on the other hand, can make people criticize you for not feeding your baby the natural way. This really is a controversial topic, the truth is that both baby feeding ways are, in fact, good options for your baby. It should go without saying that breastfeeding is considered the best nutritional source for infants, unfortunately however, some moms do not produce enough milk for the baby. Although a lot of this is closely related to stress, sometimes there are many other reasons for that lack of lactation (alcohol, cigarettes, drugs), but fortunately, there is a solution for situations like these. 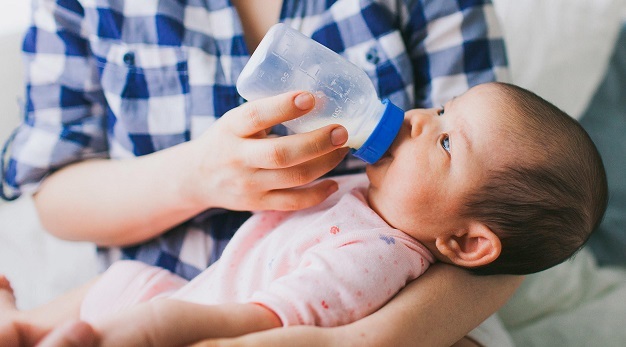 Instead of giving cow’s milk (which is bad for them), nowadays you can count on the many benefits the different types of baby formulas offer. Whether you decide to buy baby formula online or from a brick and mortar pharmacy, one thing is certain, using a formula is completely safe for your baby as its main purpose is to help your little bundle of joy receive the needed nutrients. In fact, formula and breast milk are similar in many ways, both of them can provide nutrients, energy and hydration to your baby, allowing him/her to grow healthy. It is important to note that baby formulas are now more advanced and improved which makes them the ideal substitution to the mother’s milk. When it comes to the ingredients, before you buy baby formula online you must know that they vary from brand to brand. 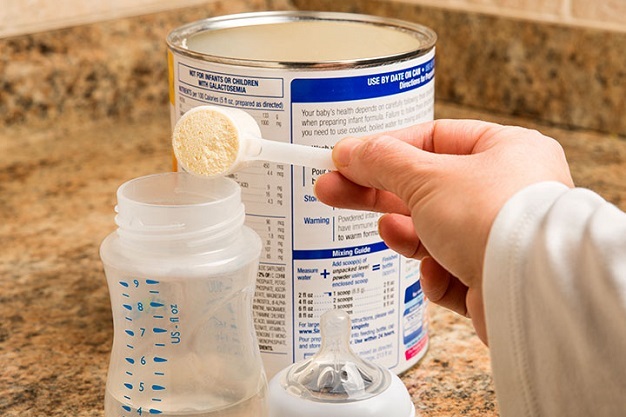 Generally speaking, baby formula is made out of skimmed cow’s milk and then there are the added stabilisers and emulsifiers to help the oils and water mix well when you prepare the baby formula. Except for that, you can also find lactose, plant-based oils like palm, coconut, rapeseed, soybean and sunflower oil, fatty acids, enzymes, amino acids, probiotics as well as a range of vitamins and minerals from plant and animal sources. Breast milk, on the other hand, contains thousands of beneficial components like antibodies to protect your baby against illness, hormones that can regulate the baby’s appetite, stem cells that can support organ development and repair and white blood cells which are great for fighting infection. It also contains prebiotics (not probiotics) which are great for supporting a healthy gut, enzymes, nucleotides and hormones that help in developing a healthy sleep-wake routine, etc. The list is endless and so the benefits, and while most mothers are well-aware of these things, for one reason or another they decide to choose formula, and this is completely fine. Do not let mommy shaming change your way of living or even worse, make you feel less than an awesome mom. Each and every mom on this planet is strong and is doing the best for her baby, which makes her a warrior!